Potassium is both a mineral and an electrolyte: It’s vital for proper nerve and muscle function, and it’s essential for keeping the brain, heart, kidneys, and other organs healthy and in good working order. Like many other minerals and electrolytes, potassium is used at a higher rate when the body is hard at work, so it’s very important to consume high-potassium foods and drinks to prevent depletion when increased activity promotes sweating. Besides on overview of the benefits of potassium, you’ll find a useful list containing more than 225 high-potassium foods to enjoy as part of your regular diet. Women sometimes experience low potassium during pregnancy, usually associated with morning sickness and/or diarrhea or with the use of laxatives. If you are pregnant, then low potassium can bring side effects like swelling (edema) and muscle cramps. Adding more high-potassium foods can help keep you comfortable until your baby arrives. 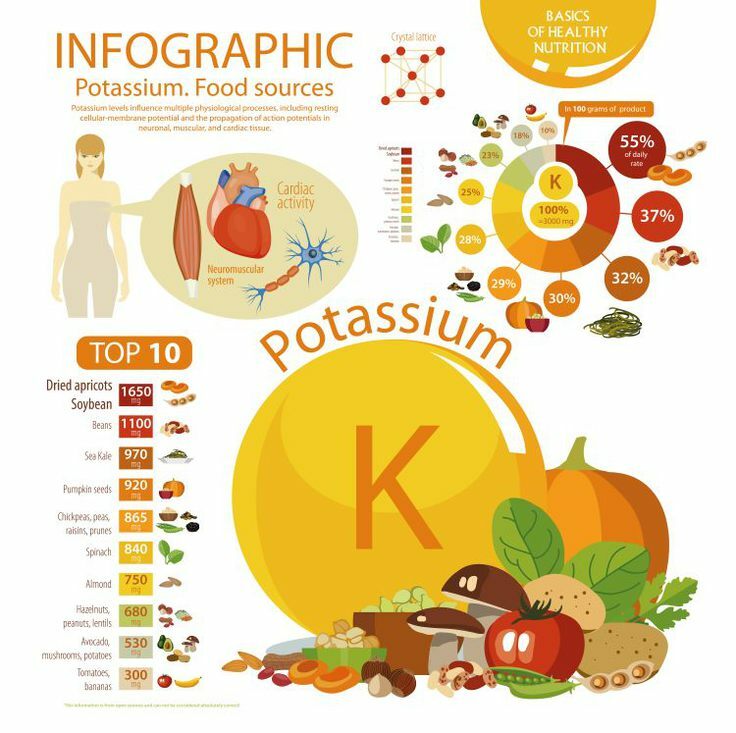 Your body uses potassium for a variety of essential functions. Without enough, your system finds it very difficult to do some basic tasks – and you might notice low potassium symptoms such as muscle spasms, leg cramps, fatigue, weakness, severe headaches, and eye twitching. 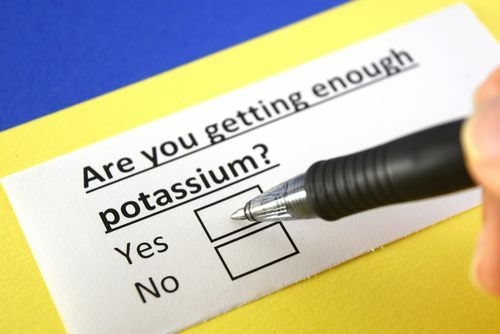 People with chronic potassium deficiency experience serious health problems including high blood pressure, heart palpitations, anemia, intestinal pain, swollen glands, and even diabetes. People with low potassium are also at a higher risk for stroke. 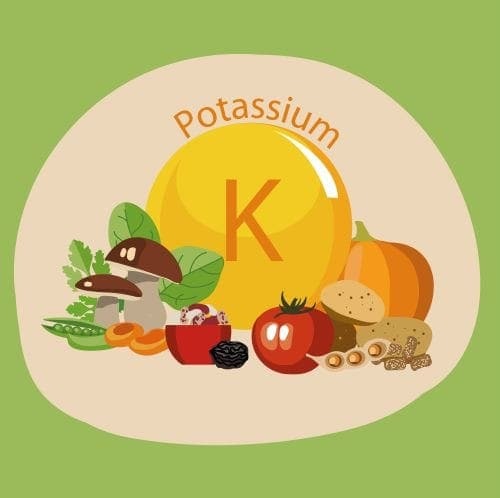 It’s important to note that some people should be careful not to eat too many high-potassium foods; for example, those with kidney problems, particularly individuals who rely on dialysis, should be very careful to watch their intake. According to the National Kidney Foundation, it is important for compromised individuals to follow strict dietary guidelines to keep potassium at a safe level. Knowing which foods are highest in potassium can help kidney patients and others avoid potential complications. Be sure to speak with your health care provider to determine your best course of action. Many whole, natural foods are high in potassium, and as you scan the list that follows, you’ll notice that some classic “brain foods” are featured. There’s a good reason for this: Foods that contain high levels of potassium encourage oxygen to reach hungry brain cells, resulting in better neural function. Use this list of high-potassium foods as a tool for making better choices at every meal, and you’ll notice that you feel more alert. With continued healthy eating, you’ll find that your body functions well and you feel better than ever. With so many high-potassium foods to choose from, most people find that they can increase their potassium intake easily with no need for added supplementation. If you feel like taking a supplement instead of changing your diet, be sure to talk with your doctor beforehand. Because of the potential for drug interactions and sometimes-serious side effects, it’s vital to double-check. Despite the fact that potassium is a very simple mineral that occurs naturally, balance is the key to good health.